I showed you a very quick sneak peek of the Maison Lancome blush a month or so ago. Breathtakingly intricate and beautifully done. Well, its finally out! The palette itself is 4 varying shades of browns in different textures. This is a very safe office friendly palette but if you are adventurous, you can smoke it up or glam it up with black liner and lots of mascara on curled lashes. 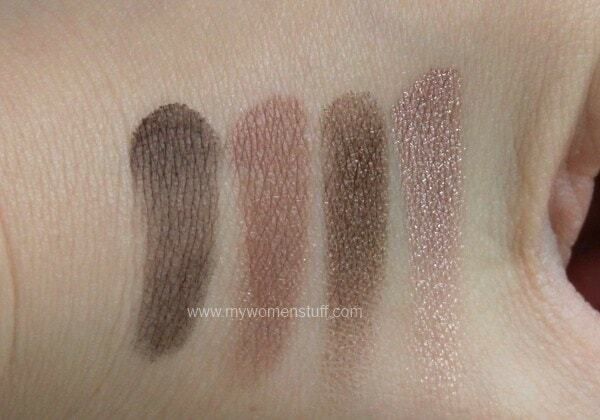 The two matte colours at the top are the ones you can use for the brow – Dark brown for shaping, light for contrast. 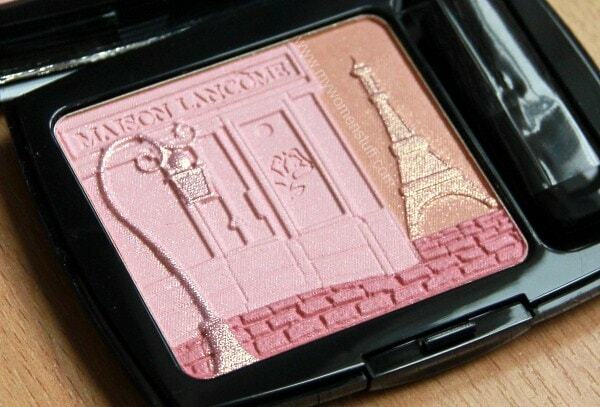 And now, for the piece de resistance, the Maison Lancome blush! The 3 primary colours are a pale pink, a peach and a rose. The glittery bits on the Eiffel Tower and the lamp post are overspray of course and the embossing is terribly intricate, down to the cobblestones on the street. Lancome Les Œillades (Oeillades) eyeshadow and brow palette retails at RM140, Maison Lancome blush at RM120, Le French Touch Absolu lipstick RM80 and are all Limited Edition while stocks last. 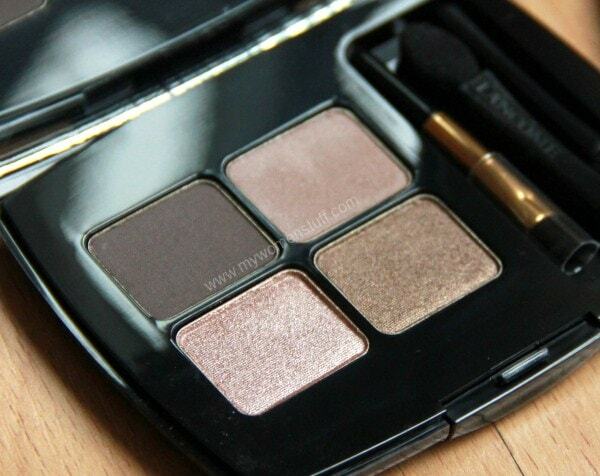 i like the eye palette coz it is a combo of colors that i always use. if i ever see it go on sale on s.net then i might snap it up. Keep your fingers crossed and stalk Snet in the coming months! 😀 I do think its a decent neutral eyeshadow palette and I like how they included a brow shade too. Makes it very travel friendly. I will have to dig into the blush soon! Can’t just keep staring at it haha! The blush design looks interesting… too pretty to use though! Much too pretty so I guess its time to shut the eyes tight and just dig right in! I love that Blush! MUST.HAVE.IT. Hope you pick it up Jamilla! I think it’ll suit your colouring well. Oh. My. God. The. Blush. Even if it was RM 140, who would even use it? It’s too pretty!! I think that’s whats going to sell this collection and its easily the prettiest blush I’ve seen for the Fall colections thus far. Haha! If its any consolation, I managed to test some Chanel Illusion D’Ombre eyeshadows and despite my love for bling, I passed. They are very bling and sparkly on the skin and I wasn’t sure I was ready to pull it off. 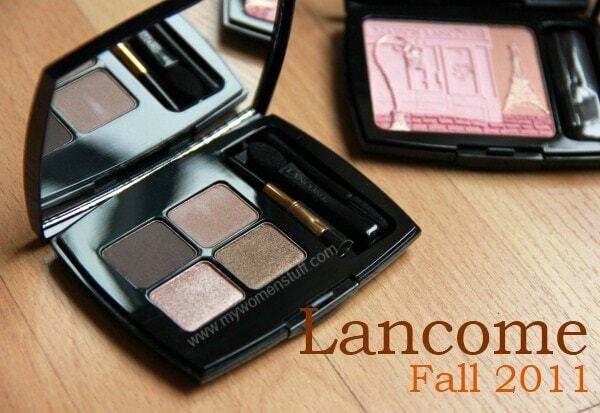 Can’t say I’ll never get it, but for now I passed 🙂 So from your choices, and knowing that you too enjoy a touch of blush, I”d say go for the Lancome blush – other UD palettes will come and with similar shades (the holiday palette is prime example – I’m seeing similar shades with different names) but the Lancome blush is one and only! I couldn’t touch the blush! It just a piece of art that what it is! I’ll get the blush just because 😉 im also very tempted by the red lipstick but I already own two that I rarely use. 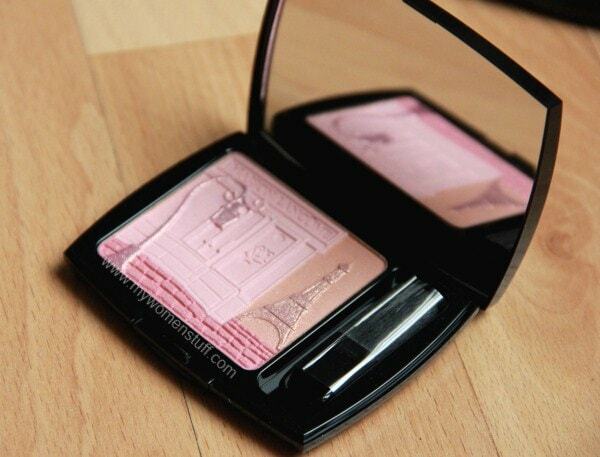 That blush is absolutely stunning! I love that the streetlamp is lit. Detail is everything! I would need a lot of courage to swipe a brush over it, too! I like that the palette includes shimmery, extra shimmery, and matte! Browns are probably “boring” in makeup addict standards, but I cannot get enough of them. Thanks for the swatches! I must be the odd one out! 🙂 I like the eyeshadow palette better than the blush!